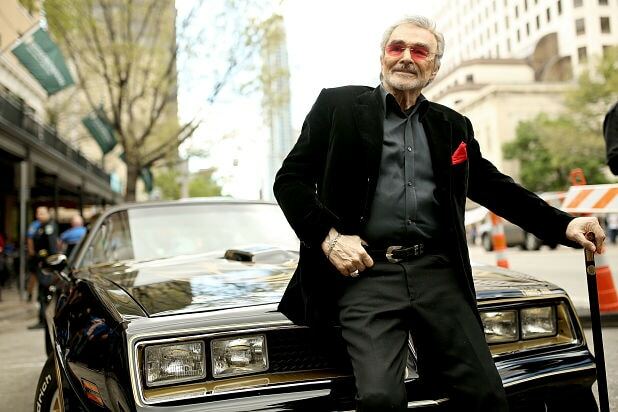 Burt Reynolds, the legendary actor who died Thursday at the age of 82, did not get the chance to shoot what would have been a remarkable final film appearance. Earlier this summer, Reynolds was cast in Quentin Tarantino’s “Once Upon a Time in Hollywood” alongside a stacked cast that includes Margot Robbie, Brad Pitt and Leonardo DiCaprio, among others. A person with knowledge of the project said that Reynolds had not yet shot any of his scenes for the film, which follows a faded TV actor and his stunt double as they embark on an odyssey to make a name for themselves in the film industry in 1969 Los Angeles, during the Charles Manson murders. Reynolds was expected to play George Spahn, the ranch owner who rented his land out to Manson and his cult of followers. The actor was scheduled to begin shooting in early October, according to his agent. What happens to the role and film at this point is unclear. Tarantino has said that “Once Upon a Time in Hollywood” would not be based on Tate’s murder, but would instead use it as the backdrop for the story of a past-his-prime actor (DiCaprio) and his stuntman (Pitt) looking for one last big break in a Hollywood that left them behind. Reynolds’ niece Nancy Lee Hess said in a statement that he “was looking forward to working with Quentin Tarantino, and the amazing cast that was assembled” for the film. “Once Upon a Time in Hollywood” will be distributed by Sony and is set to hit theaters July 26, 2019. Reynolds, who has starred in films such as “The Longest Yard,” “Boogie Nights,” “Smokey and the Bandit” and “Deliverance,” died of cardiac arrest on Thursday morning. He received an Oscar nomination for his role in 1997’s “Boogie Nights,” and also had major roles in movies like 1982’s “Best Friends,” and 1983’s “The Man Who Loved Women” as well as in TV shows like “Evening Shade,” for which he earned an Emmy. It is with a broken heart that I said goodbye to my uncle today. My uncle was not just a movie icon; he was a generous, passionate and sensitive man, who was dedicated to his family, friends, fans and acting students. He has had health issues, however, this was totally unexpected. He was tough. Anyone who breaks their tail bone on a river and finishes the movie is tough. And that’s who he was. My uncle was looking forward to working with Quentin Tarantino, and the amazing cast that was assembled. So many people have already contacted me, to tell me how they benefitted professionally and personally from my uncles kindness. I want to thank all of his amazing fans who have always supported and cheered him on, through all of the hills and valleys of his life and career.